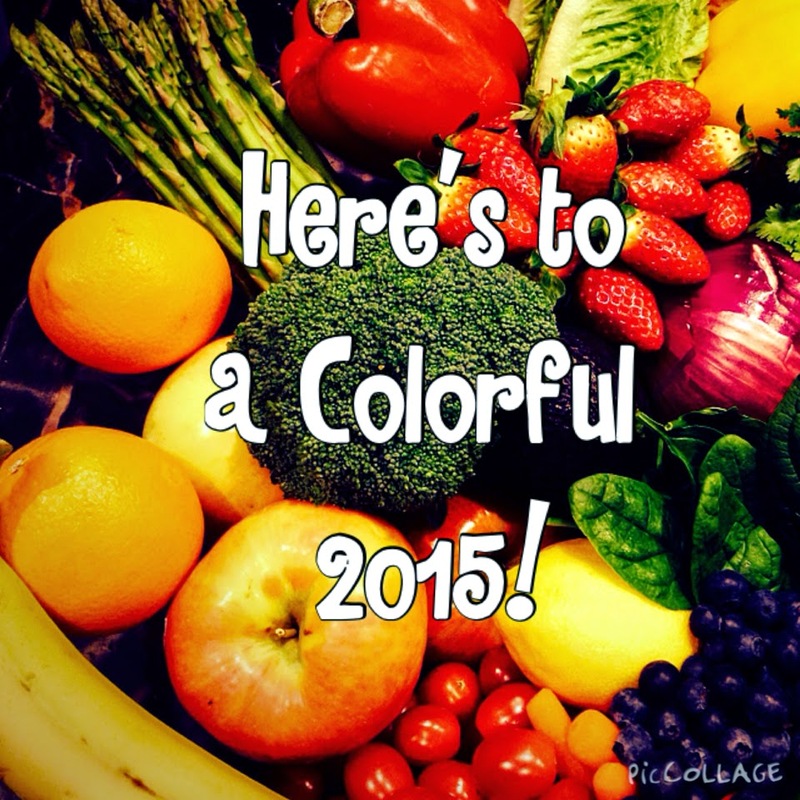 Here's to a Colorful 2015! I hate resolutions. In my opinion, I am just setting myself up for failure to say I am making a resolution. For those of you who are great at making and keeping resolutions, I am a little jealous...jealous of your determination, your will power and jealous of how darn perfect you must be after years of making and keeping resolutions! But, that is not me, so as you read this know...it is NOT a resolution. I am just TRYING to do better and in that effort, I have decided to bring more color into my diet. I want to have a healthier lifestyle and this is something I think I can do. Why? Mostly because I like food...all kinds of food. I am not a picky eater, so adding colorful fruits and vegetables on a regular basis will not be something I tire of after a while. I also love the way bright colors look on a plate. They make me happy. So, then, what is the problem? Why am I not already doing this? Well, I am. I just want to do better. It is too easy to get busy or get in a habit of grabbing crackers and hummus or a ham sandwich for lunch or adding field peas and potatoes to our dinners because my family is happy with that. 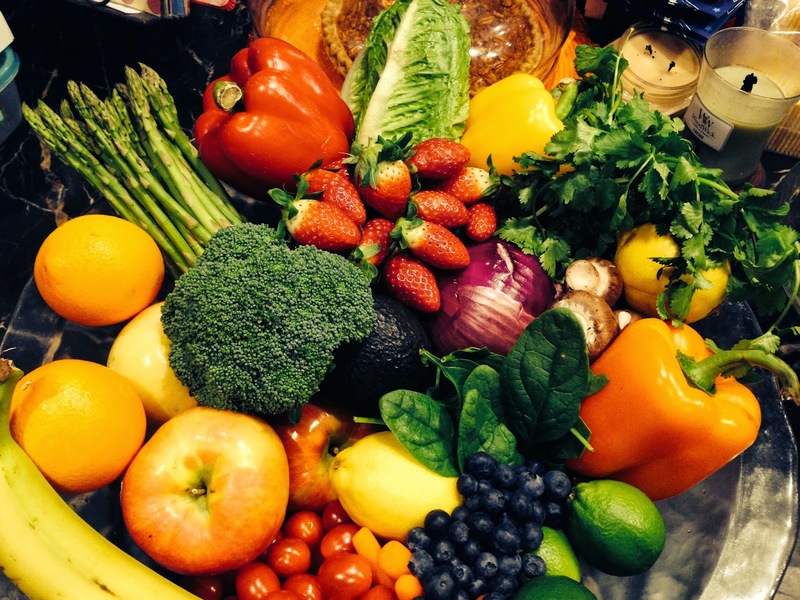 One other thing I need to get better about is making a conscious effort to add colorful produce to my cart when I go shopping so that it is always available. Beautiful, huh? And for the last week, I have been doing really well with my colorful diet. I have been deliberately adding berries and bananas to my oatmeal and yogurt in the mornings for breakfast. I have been stuffing more red peppers, tomatoes and greens in my hummus wraps at lunch. And, I have been working more color into my evening meals. For instance, look at the pretty salad I made for lunch today. I'm calling it my Rainbow Salad with Raspberry Orange Vinaigrette. Here is what I did. I started with 2 cups of spinach and romaine lettuce and topped the greens with blueberries, raspberries, sliced strawberries, sliced carrots, red pepper strips, chopped green onions, toasted almonds, toasted sunflower kernels, and feta cheese. For the Raspberry Orange Vinaigrette, I combined 1/4 c. raspberry vinegar, 2 T. fresh orange juice, 2/3 c. olive oil, 2 t. dijon mustard, 2 t. honey, 1 finely chopped clove of garlic, salt and freshly ground black pepper to taste. Shake well and drizzle over fresh salad. I hope you will give this salad a try. It is really good and sooooo colorful! Here's to a colorful 2015! 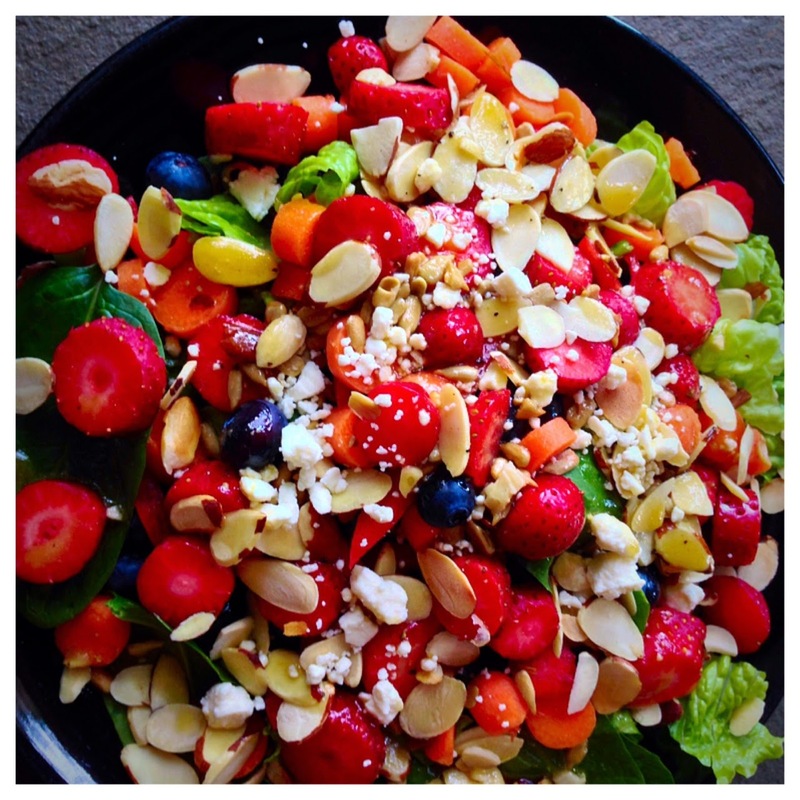 Place greens, berries, nuts, onions, cheese and carrots in salad bowl. Combine vinegar, orange juice, mustard, olive oil, honey, garlic, salt and pepper in jar and shake to combine. Drizzle over salad. Just responding to your post on the "Learn to Blog" FB site and letting you know that I will be linking to your post as part of my "Workouts for Busy Moms" series tomorrow, 3/7 at 6 a.m. Hope you can stop by to see all of the other great articles! Thanks so much, Amanda! I will definitely stop by!